Ouya sprung onto people's radar recently with an incredibly desirable, or at the least incredibly interesting pitch. The would-be console makers offer a cheap alternative for gamers to play, and even hack and mod their way through the hardware and games potentially offered on the platform. But Ouya can't possibly be relying on hardware sales for their business model. Speaking with me on Wednesday about Borderlands 2, Randy Pitchford dove into current industry matters. We got on the subject of Ouya (Oh yeah? Ouija? ), and he knows that the Ouya makers will have to make money somehow. This sugar-coated pitch can't be everything. "They asked for a million, so they must have planned this out. They were selling them to the people that were buying them through the Kickstarter for $99. Take a million divided by $99. That's 10k units. Let's imagine their margin on the hardware is $10, which I think is actually exaggerating, considering what's actually in this thing. $10 times 10k units, that's $100k. You can afford four guys for two months. That's not a business. Maybe this is just the thing to get what their business is off the ground, and they'll say whatever they need to say to get Kickstarter to work in their favor." 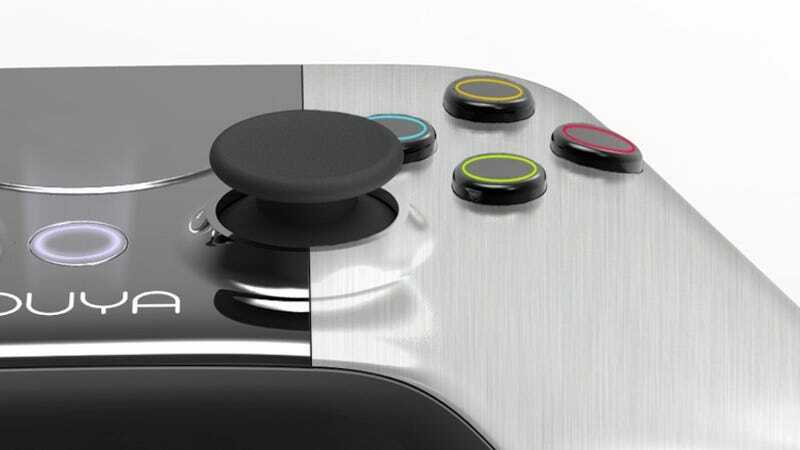 Playing off the hype and excitement of the new console, Ouya could be luring us into their field before delving deeper than this tip of the iceberg. Kickstarter is just the first step in a longer business plan set for the future. But is Pitchford excited about this platform, future undisclosed monetization plans or not? Absolutely. "If there's a machine that's capable, that people love using, and there's a lot of people consuming games on it, I'm going to be really excited to create content for it. What it actually is doesn't really matter to me. But it [the Kickstarter draw] is a really clever, interesting play."